DAS installations are pretty expensive. Hence to justify this investment, providers and carriers prefer long contract terms, with ten years quickly becoming the industry standard. In a carrier-owned DAS, a wireless service provider pays for the equipment and installation costs, as well as maintenance and upgrades. In return, the service is typically exclusive to the carrier that installed the DAS. When a third-party neutral-host provider installs a DAS, this entity bears all of the costs, which can be recouped by charging any or all of the service providers to have access to the system. Within the United States, Corning Mobile Access, CommScope, and TE Connectivity all serve as DAS hardware vendors. Other manufacturers include Axell Wireless, Comba, Ericsson, Kathrein-Werke, NSN, Optiway, PowerWave Technologies, Solid, and Zinwave. In the world of cellular service providers, AT&T has a large and growing, albeit not exclusive DAS practice. CommScope offers outdoor wireless solutions, such as the Andrew DAS, which supports all current system architecture and power ranges and is ready to handle more advanced technologies like high-speed packet access (HSPA+) and evolution-data optimized (EV-DO). FlexWave Prism manufactured by TE is also designed for outdoor use. The package offers mobile operators a way to extend macro network coverage for 2G, 3G, and 4G services. TE’s indoor product is called the FlexWave Spectrum, which can extend wireless services throughout a building, multiple buildings, or a campus. TE also has a product geared specifically toward enhancing public safety. The appropriately titled TE Public Safety DAS provides distortion-free transmission and distribution of information. It has been used worldwide to improve vital communications in systems for first responders, government, transit, commercial enterprises, education, security personnel, and the military. It functions both indoors and out. Corning MobileAccess DAS solutions include the single operator MobileAccess 1000 and the multi-operator MobileAccess 2000. Both are designed for indoor use and have a single, broadband infrastructure with service-specific, chassis-based modules that automatically groom wireless signals. The 1000 model hosts up to four wireless services in medium-to-large-scale environments; whereas, the 2000 model’s modularity enables users to introduce new wireless or operator services at any time and is suitable for large-scale, multi-operator facilities. Like Corning, SOLiD has two flagship DAS products that differ mostly by scale and capacity. 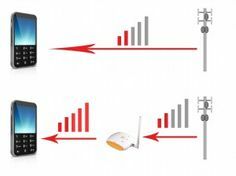 The cost-effective EXPRESS single-carrier DAS provides in-building or outdoor wireless service for a single wireless provider across multiple frequency bands. It typically uses just one fiber to connect a building. The alliance DAS system seems to be much of the same, designed as a multi-carrier solution, and presumably a less cost-effective one at that. 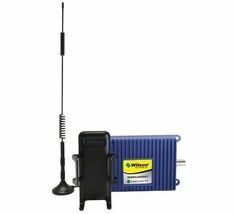 The manufacturers listed so far sell complete Distributed Antenna Systems, Oberon Wireless seems to distinguish itself by selling system components. 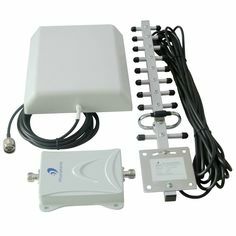 Its WiFi and DAS antennas come in indoor/outdoor varieties, with a variety of frequency bands to choose from. Some models are dual band, coming in either puck or dome styles. This company also sells the mounting brackets required for installation.